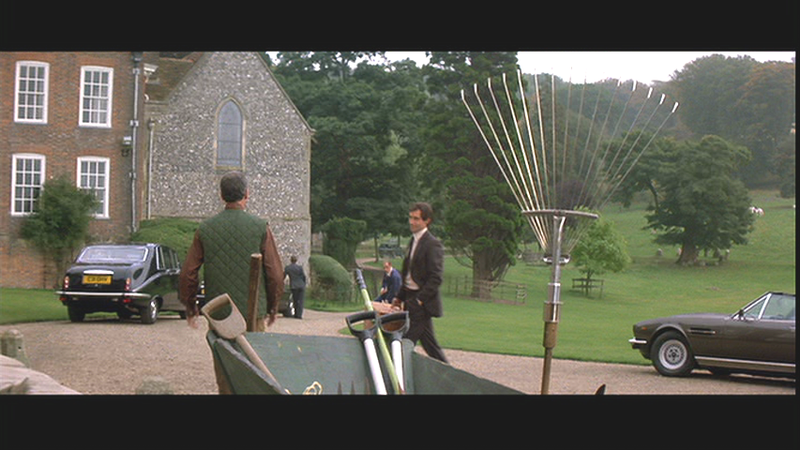 Just prior to 007's arrival at Stoner Park, Henley on Thames, that is operating as a safe house, he passes a wheelbarrow with a rake with a rotating head. The rake is some sort of weapon detector. It's a bit odd. Music was clearly being used as a weapon – and I don’t just mean A-Ha’s assault on the ears with their theme tune – because after the Ghetto Blaster came the Sony Walkman headphone wire garrotte. A throwback to the garrotte wire used in Second World War soldiers’ shoelaces, this strangulation method was used as a KGB agent’s device to kill a cook before he abducts General Georgi Koskov. The Sony Walkman was at the height of its popularity at the time. You can find vintage Walkmans on eBay, but also updated versions at regular high street and internet stores.